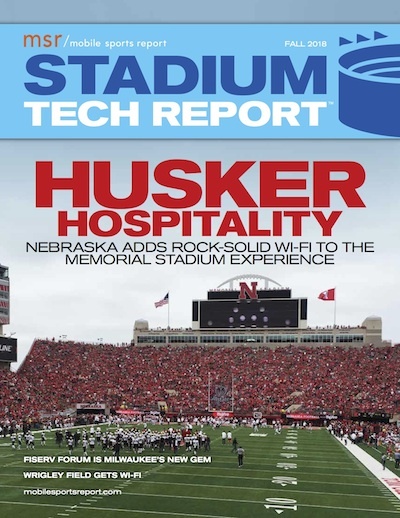 New Report: Nebraska’s Memorial Stadium profile, Wrigley Wi-Fi and more! 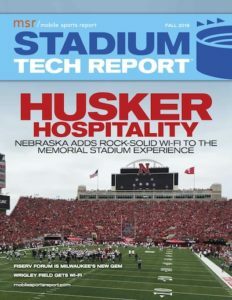 MOBILE SPORTS REPORT is pleased to announce the Fall 2018 issue of our STADIUM TECH REPORT series, the ONLY in-depth publication created specifically for the stadium technology professional and the stadium technology marketplace. 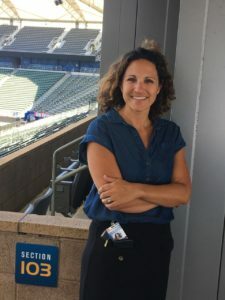 Our string of historical in-depth profiles of successful stadium technology deployments continues with reports from large collegiate football stadiums, a new basketball arena, an old baseball stadium and a soccer stadium hosting NFL games! Download your FREE copy today! — StubHub Center DAS: An in-depth profile with in-person testing of the DAS at StubHub Center in Los Angeles, temporary home of the NFL’s LA Chargers. We’d like to take a quick moment to thank our sponsors, which for this issue include Mobilitie, JMA Wireless, Corning, Huber+Suhner, Cox Business, Boingo, Oberon, MatSing, and Neutral Connect Networks. Their generous sponsorship makes it possible for us to offer this content free of charge to our readers. We’d also like to welcome readers from the Inside Towers community, who may have found their way here via our ongoing partnership with the excellent publication Inside Towers. We’d also like to thank the SEAT community for your continued interest and support. 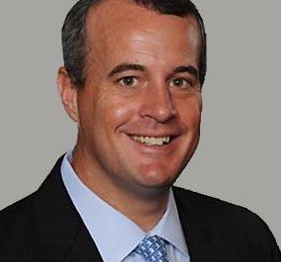 Jim Rushton, who held one of the most high-profile jobs in the sports network business market as leader of the stadium-technology group at IBM, said it was a “once in a lifetime chance” at the “right opportunity” that led him to leave Big Blue to become the new chief revenue officer for the Los Angeles Chargers. 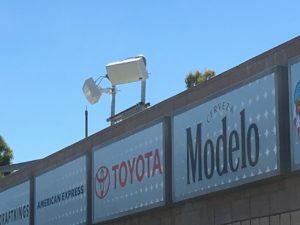 Rushton, who started his new job this week, spoke with Mobile Sports Report last week on the phone after what he described was a “whirlwind” of activity, which ended up with him at one of the top-level business spots for the former San Diego Chargers, who are in the midst of a move up the coast. 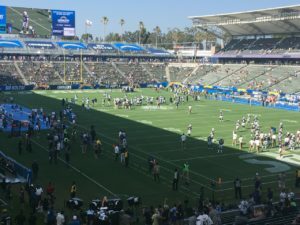 Part of that opportunity will be to help figure out how to remake the Chargers franchise as part of a joint tenant agreement at the yet-to-be-built new Los Angeles NFL stadium, a venue being built by LA Rams owner Stan Kroenke. 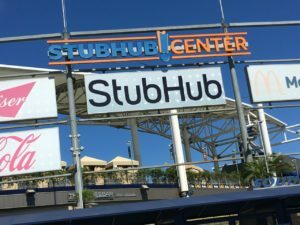 Rushton said that fan data and anayltics will me a “massive part” of his new purview, and that as a partner in the stadium operations the Chargers will be part of “joint decisions” on technology matters inside the new venue. Rushton, who held a similar position with the NFL’s Miami Dolphins before moving to IBM, said his post with the Chargers will have more responsibilities. On his short but productive IBM tenure — during which IBM came from pretty much nowhere to becoming one of the leaders in the stadium-networking integration space — Rushton said he felt he was leaving the operation improved from its initial inception. 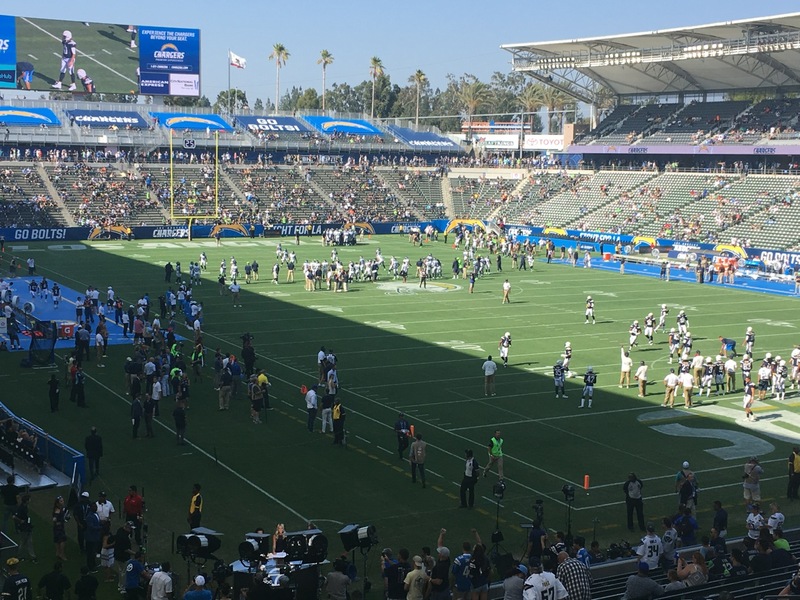 One of the more interesting features of Rushton’s new job is the fact that the Chargers will play home games the next two seasons at the StubHub Center, a 27,000-seat soccer stadium in Carson, Calif., that will become the NFL’s smallest venue starting this fall. 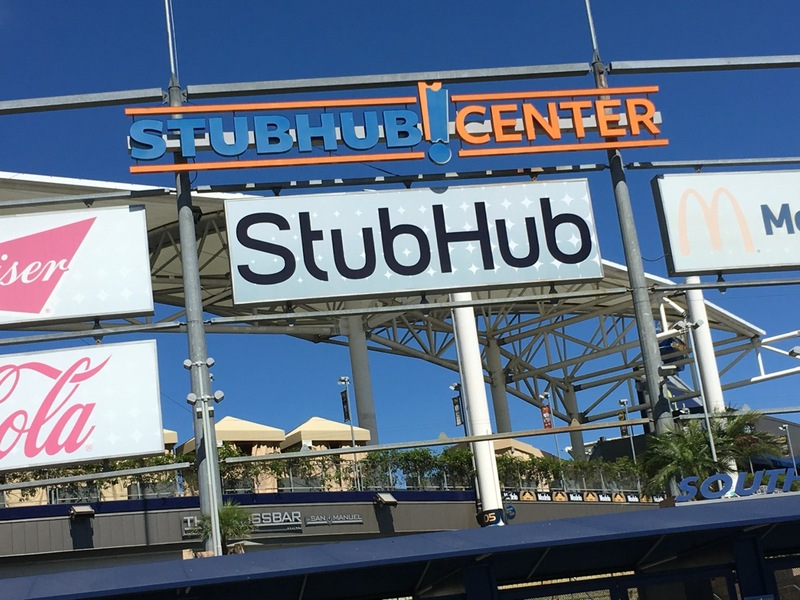 Though it’s not clear whether or not the stadium will improve its technology offerings before the Chargers play, Rushton was excited by the prospect of a scaled-down experience. “It’s going to be terrific — it’s like having only premium seats, because everything will be lower bowl,” Rushton said.